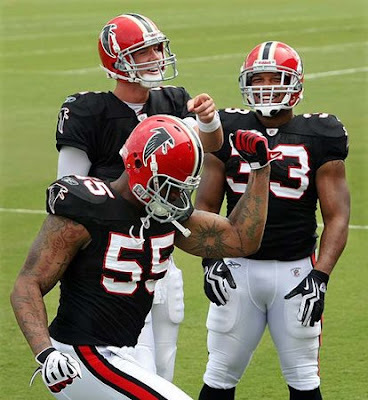 The Atlanta Falcons will relive a chapter out of 1966 and play in "throwbacks" twice during the 2009 season. The red helmeted Falcons will appear in the second game of the season against the Carolina Panthers, and then later in the campaign against the Tampa Bay Buccaneers on November 29th. Lookin' good Atlanta!